The Energy Department has ousted two top officials of the federally run Bonneville Power Administration, putting them on administrative leave after they retaliated against a half-dozen employees who were helping an inspector general's inquiry about hiring practices. The Bonneville Power Administration, which falls under the Energy Department and whose workers are federal employees, markets electricity generated by 31 federal hydro projects and provides power to about 13 million people in the Pacific Northwest. Its administrator, Bill Drummond, who was appointed in February, and chief operating officer, Anita Decker, were escorted out of their offices Monday, people familiar with the matter said. Drummond's deputy, Elliot Mainzer, has been named acting administrator. The Energy Department took the action after its inspector general, Gregory H. Friedman, issued an alert asking the department to put on hold any actions being taken against the employees. One of the employees had been fired and others were suspended or put on work improvement programs. "These actions have a potentially chilling effect on various aspects of our work and, as such, jeopardize our ability to effectively complete our review of the circumstances surrounding inappropriate Bonneville hiring practices," Friedman said in a memorandum to Energy Secretary Ernest Moniz. Friedman said he had learned that other employees who raised other personnel issues had also been punished. The inspector general's office said Tuesday that it is examining whether Bonneville Power Administration's hiring practices created a disadvantage for military veterans, the opposite of what both the Bush and Obama administrations have ordered. In 65 percent of cases over a 11 / 2-year period, the inspector general found that Bonneville changed the minimum scores required for consideration after applications were received. While veterans weren't the only ones whose prospects suffered as a result, they were disproportionately affected. 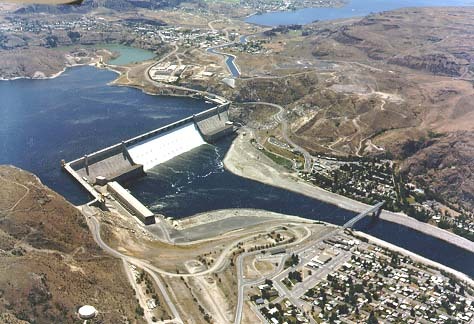 The federal Office of Personnel Management found evidence that Bonneville Power wasn't following proper hiring practices, and the Energy Department has told Bonneville it can no longer hire on its own, according to an individual familiar with the investigation, who spoke on the condition of anonymity because he was not authorized to comment. Friedman's letter said that even after inappropriate hiring practices were disclosed, Bonneville failed to take corrective measures, such as notifying the affected applicants. "We believe that the Department's senior leadership should intervene in this matter to ensure that all Bonneville employees feel free to report potential wrongdoing in an atmosphere free from retaliation, whether real or perceived," Friedman said. The spat comes at a time of strain between the Energy Department and the House over a provision in the water and power appropriations bill that told federal power authorities that they should not follow instructions given to them in a memorandum sent last year by then-Energy Secretary Steven Chu. On March 16, 2012, Chu issued a memorandum instructing Bonneville and three other federal power authorities to take steps to upgrade their transmission networks and increase the use of renewable energy. Two months later, 166 members of Congress signed a letter protesting Chu's memorandum, raising concerns about the possibility of higher electricity costs. An amendment adopted this year in the water and power bill would let the power authorities disregard the letter from Chu, who is no longer Energy secretary. The scope of the federal power authorities covers about 40 percent of the country, in the Pacific Northwest and Rocky Mountain states. BPA administrator Drummond has been with the agency for two years. Earlier, he was manager of the Western Montana Electric Generating and Transmission Cooperative in Missoula, Mont., for 17 years. The National Rural Electric Cooperative Association's chief executive, Glenn English, testified last year opposing any change in the way the power authorities function. "The veterans preference in federal hiring is non-negotiable, and retribution against whistleblowers in any way, shape or form that affects hiring veterans cannot be tolerated," said Ron Wyden (D-Ore.), chairman of the Senate Energy and Natural Resources Committee. He said that "the Energy Department must ensure the Bonneville Power Administration immediately begins following the law and treating vets fairly in the hiring process."